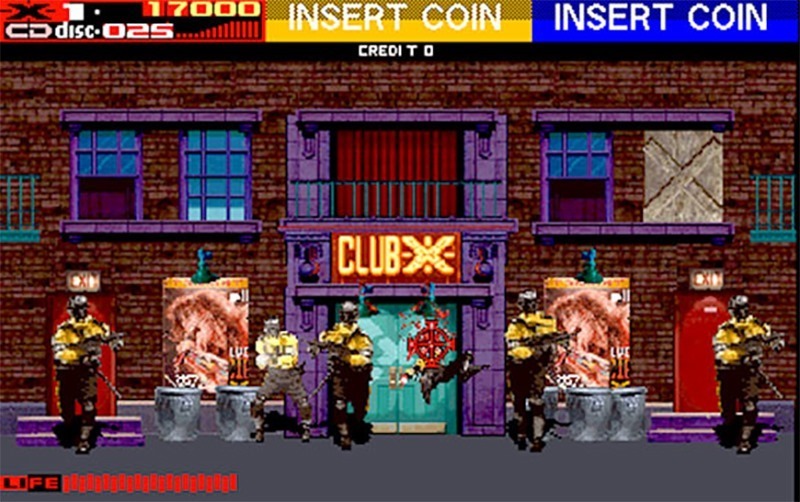 If you played arcade games through the 90’s, you’ll undoubtedly have tackled one of the seemingly million or so light-gun games that gained widespread popularity in the genre’s arcade golden age after the release of Mad Dog McCree in 1990. None quite so epitomised 90’s radittude quite so much as Midway’s Aerosmith Vehicle, Revolution X though. 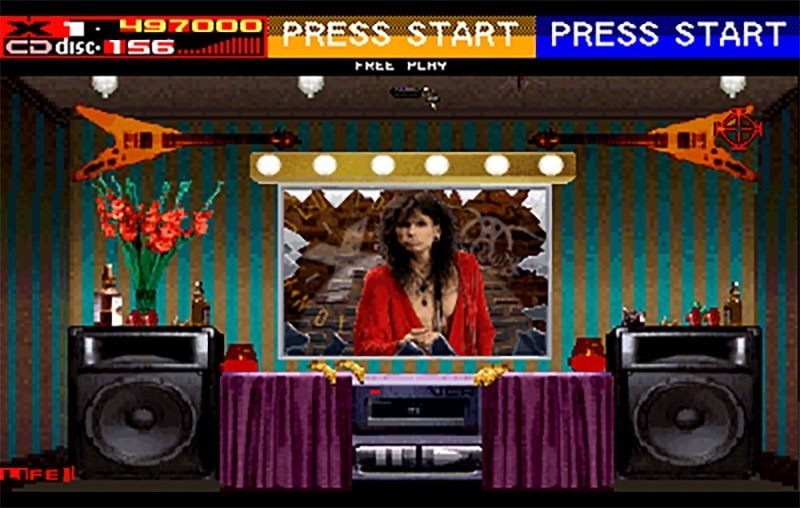 Conceived, originally, as a Jurassic Park game before SEGA nabbed the licence, Midway instead re-appropriated the assets, captured the voices and likenesses of Aerosmith’s band members, and bolted on a ludicrous narrative that had you shooting at things, and launching high-speed spinning CDs as deadly projectiles. Rebranded as a spiritual successor instead to its incredibly Successful Terminator 2: Judgement Day. 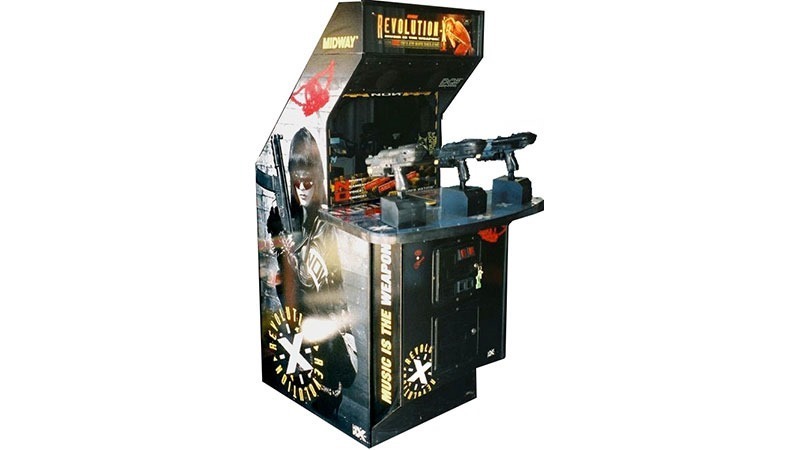 It was released in 2 and 3 players variants in 1994, as well as as an upgrade kit for existing Terminator 2 machines. 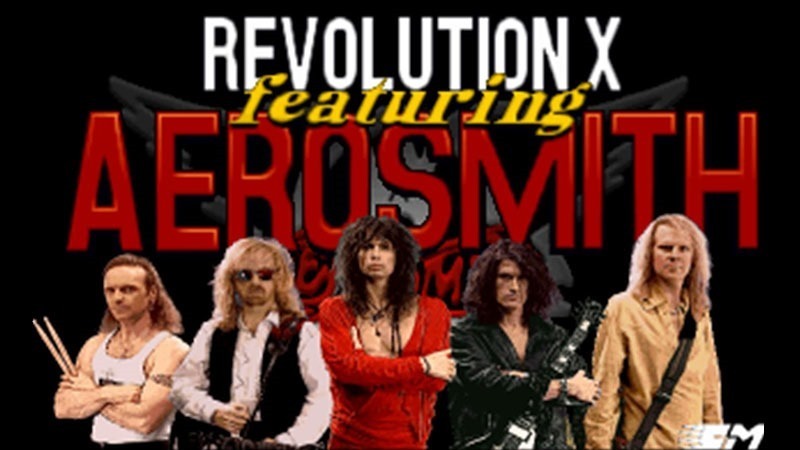 Aerosmith has been kidnapped by the New Order Nation (NON), an organization whose goal is to enslave all of the world’s youth population by suppressing all forms of entertainment. As one of few remaining free youth, you are equipped with a machine gun and the strongest weapon available: music, to free all of the youth (and Aerosmith, too!) and put an end to the NON menace. 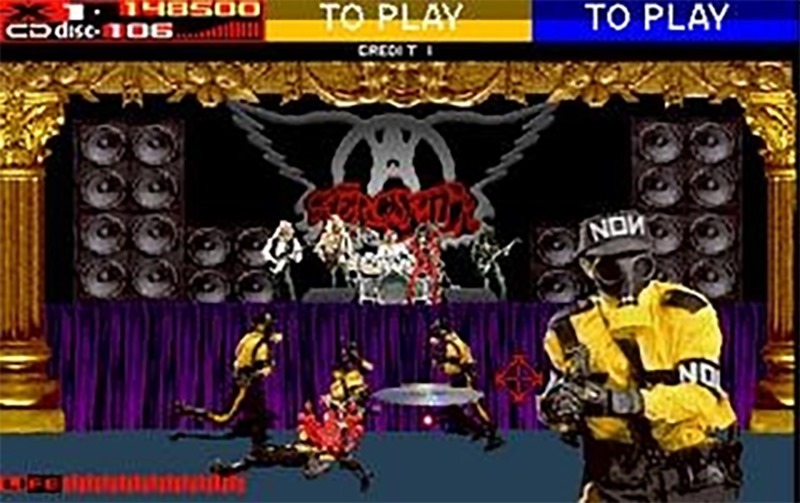 The game itself was a typical rail-shooter with just a few oddities to make it really stand out; it had strippers, dinosaurs, giant jellified skulls, ninjas, identical bad guys in hazmat suits and an impassioned plea from Aerosmith frontman Steven Tyler that you help save the world. Midway actually had plans of releasing sequels, with one featuring hip-hop bad guys Public Enemy, and another featuring Guns ‘n Roses. The whole thing was scrapped when the home versions of the game – terrible ports with not a single one them using lightguns – failed miserably. As bit of other trivia; Sal Divita, the actor who was digitised as Nightwolf, Cyrax, Sektor, and Smoke in Mortal Kombat 3 played the NON Natives, while Kerri Hoskins – yes, Sonya Blade – was Helga. Remember, MUSIC IS THE WEAPON! Next article Did 2014’s games ruin 2015?